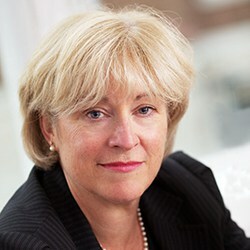 I am a specialist family law barrister at 1 Garden Court, a leading family set based in Temple, London. I came to the Bar in 2001 as a second career and trained in 2007 as a mediator. I am a member of the Family Law Bar Association and an affiliate member of Resolution. I have 3 children and 2 grandchildren. I therefore bring considerable experience, both professional and personal, to matters concerning children. 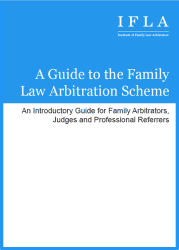 My legal practice covers all manner of disputes between married and unmarried parents, including where a child should live and what time should be spent with the other parent, where a child should go to school, whether a child’s surname should be changed and those cases where one parent wishes to to move away with the child and the other parent opposes this. 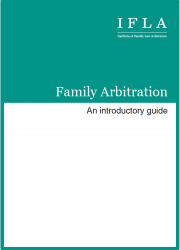 I qualified as one of the first Children Arbitrators in England and Wales and consider that the process of Arbitration is ideally suited to disputes over children. It offers a swift, efficient and cost effective method to enable parents to obtain a resolution to their dispute where delay is likely to prejudice the welfare of the child.